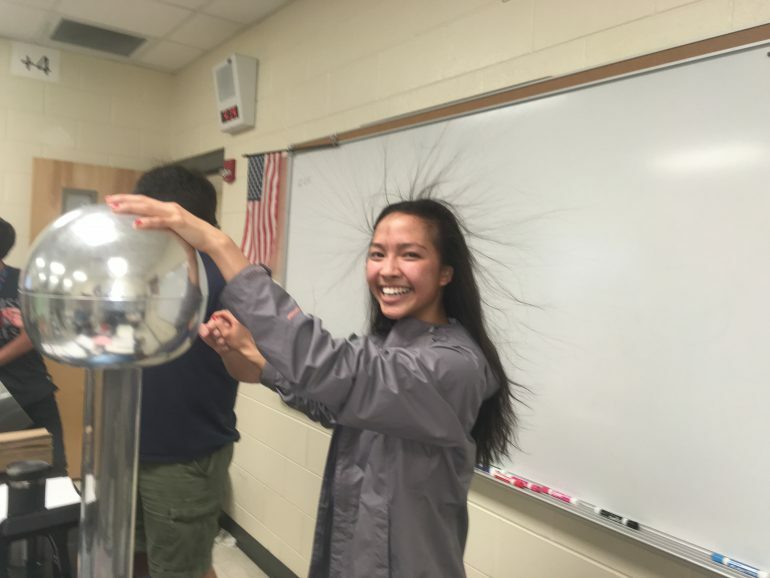 STEM fields (Science, Technology, Engineering, and Math) may not appeal to everybody at first, but eventually a passion for this may find us in some form. From utilizing technology, to enrolling in mathematics classes, to performing lab experiments, STEM has a way of influencing us to do our best and make us crave more. But for me, it was a combination of them all. Choosing to be a STEM major was not an immediate decision; it was a process that I had to figure out at my own pace. STEM exposed a little portion of itself to me, and I wanted more—like an addiction that I could not contain. The first two years of high school can be overwhelming with graduation requirements and miscellaneous work whose purpose may not be clear at the time. Over the course of those two years, all I knew was that I performed well in math, and I wanted to stay away from subjects that did not challenge my brain to think harder and “out of the box.” However, I never figured out or had a career plan for college. I simply did what was expected of me and completed school. Throughout those years, numbers and scientific truths seemed to “throw themselves” at me, and it somehow stuck. Did I know what this meant? No. Was I confused about why numerical and science-like concepts appeared easier than reading a simple story and analyzing it? Absolutely. I was curious. I had this small tiny spark that needed help igniting, and I desired a flame. I had this “thing” in me, and I needed help. I skewed away from taking easy-A classes and knew that courses like physics and calculus were the ones for me. There was just something about understanding the world, and the nature of objects and actions, and applying math to real-world scenarios that was so intriguing. At that moment, STEM was a stigma that the previous generation pushed the future generations to pursue, and to this day it is still wildly supported and important. Everything around was transforming for the better and I needed to be part of that chain-reaction. My teachers pushed me to do my best and impacted my decision on a career. They made learning enjoyable and less like an obligation. Long story short, I had this kindling flame, and near the end of my high school chapter, I ended up with this untamable wildfire spreading throughout my body with excitement. Picking a specific career is not easy, especially for me. My excessive drive to learn influenced me to go in all sorts of directions from dermatology to business, and economics to mathematics, to physics to engineering; unfortunately, there is no time to do them all. Yes, I excelled in the mathematics and sciences. But, how could I combine all of the preceding fields and have room for flexibility? After hours of research and curriculum comparisons, I ultimately selected chemical engineering. This area of engineering plays a role in all of the engineering disciplines and overlaps in production of pharmaceuticals, energy, and produce goods. It’s a diverse field with opportunity and potential to do great that I could not pass up. Being a chemical engineering major gives me insight on how to think and a new perspective to view my surroundings. But I could not have done it without help from my mentors, friends, supporters, and outside sources. Nobody simply excels alone; this process is a team effort, and I am proud to be chosen as a Pearson Scholar of Higher Education. Through this scholarship Pearson provides access to their exceptional services and extra study materials that are used in my classes. The opportunity to be affiliated with Pearson and their mentorship program has shown me that I can be the best version of myself by fully utilizing what is around me to my benefit. Within chemical engineering, one of my goals is to mentor and influence the upcoming generation to pursue STEM-related majors. In addition, I intend to start a scholarship fund for those who are in financial need and want to have a career in the STEM field. Pearson is doing just that for me, and I hope to continue the legacy of “creating fulfilling careers and better lives” and initiating the STEM-sensational spark in others. 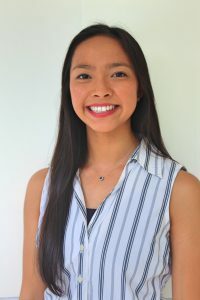 Meghan Nguyen is a chemical engineering student at Mississippi Gulf Coast Community College where she is a member of Phi Theta Kappa and a recipient of the 2018 Pearson Scholarship for Higher Education. One of her career goals is to represent the greatness of women and minorities within her field. She enjoys being active in any way she can, from enjoying the outdoors to devoting her time to service opportunities. We are incredibly proud of all the Pearson Scholars. Please check back as we continue to highlight each scholar’s story! To learn more about the scholarship visit the Pearson Scholarship for Higher Education web page. This is Meghan’s first contribution to the Pearson Students Blog. If you are a college student and interested in writing for us – click here to pitch your idea and get started! Well done, Meghan. Best wishes and good luck wherever your interests take you!